As if their original material wasn't unbearable enough, EDM dude-bros the Chainsmokers jokingly delivered a Nickelback impersonation a while back, then released a totally serious Coldplay collab after that. They really took things up a notch last night (March 16), though, unexpectedly busting out one of the world's all-time most annoying songs during their SXSW set in Austin. Yup, they broke into a live rendition of Smash Mouth's "All Star" — backed by the tune of their own ubiquitous jam "Closer." Singer Drew Taggart danced atop his bandmate Alex Pall's DJ platform as he posed the eternal quandry: "So much to do, so much to see, so what's wrong with taking the back streets?" Go watch the minute-long bit for yourself down below, because as Smash Mouth themselves once told us, "You'll never know if you don't go." Of course, you'll also never shine if you don't glow. 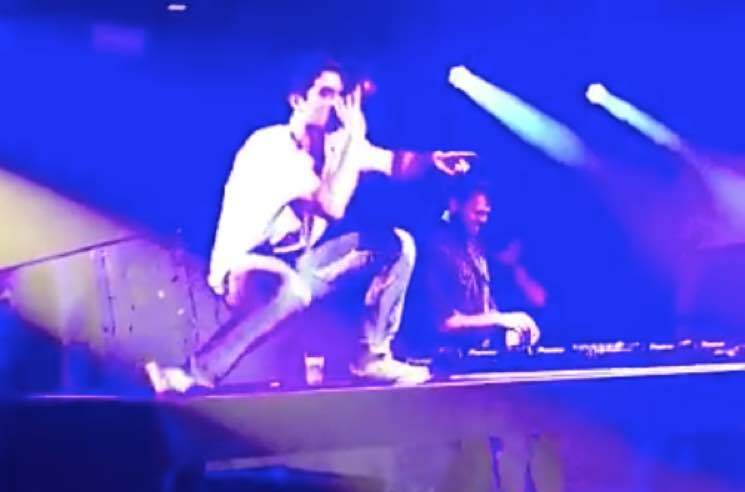 Check out footage from the Chainsmokers' SXSW set below.